Strong quarterly results muted by a-Si Sunfab’s $405 million charge. 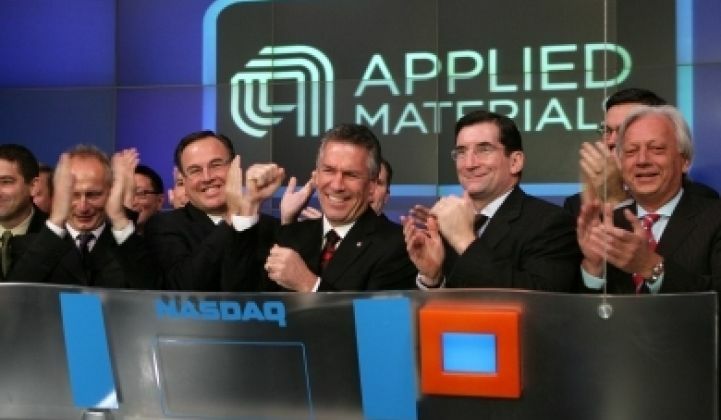 Applied Materials had a strong quarter and beat guidance and Wall Street expectations driven by semiconductor, display and crystalline silicon solar businesses. Results would have even been better if it weren't for the the Energy and Environmental Solutions (EES) group restructuring plan that resulted in charges totaling $405 million. The Energy and Environmental Solutions includes the amorphous silicon Sunfab line, as well as Applied's successful crystalline silicon product lines. These charges consisted of inventory-related charges of approximately $250 million and severance and asset impairment charges of $155 million related to their a-Si business. The inventory-related charges lowered gross margin by approximately 10 percentage points and reduced GAAP and non-GAAP EPS by $0.12. Excluding the EES restructuring plan charges, non-GAAP EPS would have been $0.29. Greentech Media was in front on the coverage of the travails of the Sunfab amorphous silicon line. More here. Gross margin was 34.2 percent including the thin-film solar equipment inventory charge which lowered gross margin by approximately 10 percentage points. In the words of Mike Splinter, Applied's CEO: “During the quarter, we took actions that focus our Energy and Environmental Solutions segment on our most promising opportunities in solar and advanced energy, and strengthen our company’s financial outlook.” That action will impact 400 to 500 positions globally, although a number of affected employees may transfer to other groups within the company. “Applied had strong results across our semiconductor, display and crystalline silicon solar businesses, and we now expect Silicon Systems Group net sales to be up by more than 160 percent over fiscal 2009,” said Splinter. Energy and Environmental Solutions (EES) orders decreased to $353 million. 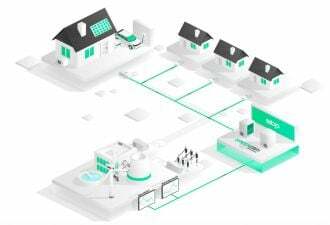 Net sales more than doubled from the second quarter to $387 million led by record demand for crystalline silicon solar equipment. EES had an operating loss of $371 million, which included $405 million in charges associated with the restructuring plan. For the fourth quarter of fiscal 2010, Applied expects net sales to be in the range of flat to up five percent quarter over quarter. The company sees strength in their markets but is "watching soft macroeconomic leading indicators."